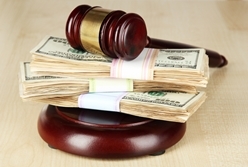 Lemon Law Can Cost Carmakers Much More Than Purchase Price | The Consumer Law Group, P.C. How much do Lemon Law claims cost auto manufacturers? When you file a successful Lemon Law claim in Virginia, you are entitled to choose whether you want a replacement vehicle or a refund of the full contract price. When you choose a refund, you are also entitled to any additional expenses, otherwise known as “collateral charges” related to the purchase and operation of your vehicle for the time you had it. If you needed the services of an attorney for a successful resolution of your Lemon Law claim, the carmaker must also pay the legal fees. All told, the carmaker’s costs can add up to much more than just the cost of the vehicle. You are also entitled to a reimbursement of mileage, expenses, and reasonable loss of use necessitated by attempts to conform the motor vehicle to the express warranty. Considering that the original purchase price of the vehicle was around $20,000, the Lemon Law claim clearly cost the manufacturer much more than a straightforward refund would have cost them. When carmakers fight back against Lemon Law claims, they can end up making big payouts. As Lemon Law attorneys, our primary goal is to get you a new car or the money you are entitled to, but when we have a legitimate claim and the manufacturer disagrees, they risk losing large sums of money and our clients can benefit.